The big cities are almost always crowded and finding a free parking spot is not an easy job. But sometimes parking an auto can be really fun, especially if we're talking about an awesome luxury car. 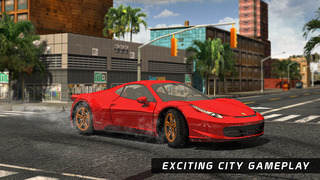 This new game will give you the opportunity to enroll in an entertaining adventure and prove your precision driving skills throughout 12 challenging parking levels. 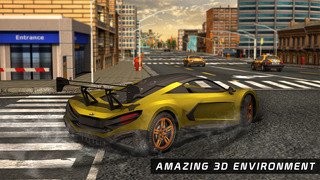 The aim of this amazing simulation game is that you are able to drive your sports car around a high-detailed urban environment and park it in the indicated area. In order to complete each level, you have to take your vehicle from the starting point to a designed parking spot. An arrow will guide you across 12 outstanding levels, but you are allowed to trust your own instinct if you don't want to end up scratching and smashing into anything. Like every driver knows, controlling your vehicle is super important and the given parking situations will require you to show top skills in steering, acceleration and obstacle avoidance. The smooth and easy control will let you guide your car by using the on-screen steering wheel, acceleration, ​and brake pedals. Don't forget about the time limit. Every mission is a race against the clock, so hurry up and park in time! - countdown timer - complete all the missions within the given time.